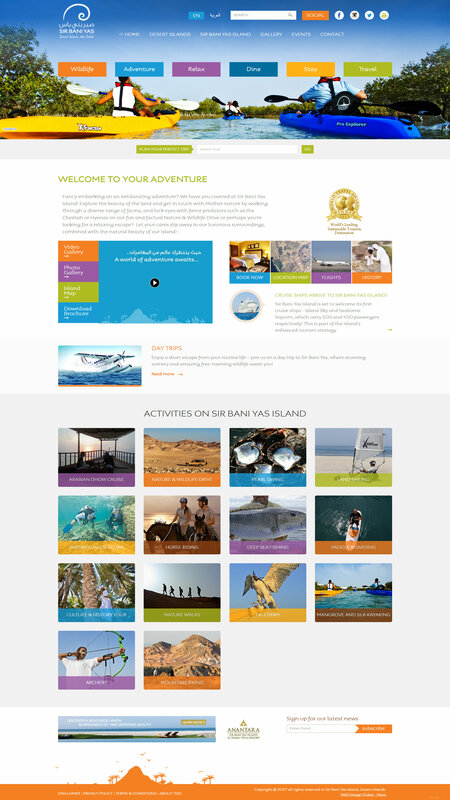 Sir Bani Yas Island, is a unqiue piece of land off the coast of Abu Dhabi. There are a plethora of activities available to visitors, including; trekking, safaris and spa days at one of the many 5 star hotels on the island. The site needed to encaptulate the heritage of the island while ensuring it appealed to the variety of target demographics and therefore, imagery and video was utlisied effectively across the site.